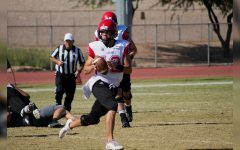 The Glendale Community College Gauchos suffered a loss to the #13 ranked Eastern Arizona Gila Monsters on Saturday Sept. 22 by a score of 29-12 in Thatcher, Arizona. “It’s a tough one, that’s how it is when we play Eastern every year, there was one year when it was lopsided, we just didn’t come here ready to play. Every year we play them it’s down to the wire, down to the last few plays. A big play here and there sometimes we come out on the better end of the deal, tonight they did,” Gauchos head coach Mickey Bell said. 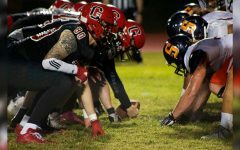 The story for the Gauchos team was the absence of quarterback Elijah Lorence who was sidelined with a back injury. 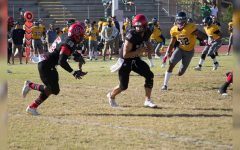 The gauchos were led by quarterback Nick Thomas would take the majority of the snaps for the Gaucho offense, and quarterback Mason Nguyen would also take snaps for the Gauchos offense. The Gauchos were able to keep the score close for much of the four quarters, tying the #15 ranked Gila Monsters 9-9 at the half and even leading 12-9 in the fourth quarter. Kicker Julian Botello went 4/5 with his longest being a 44-yard field goal. “Our redzone offense sputtered, we got to do better, we came away with four field goals. I thought our field goal kicker did a great job, but our redzone offense has to be better,” said coach Bell. 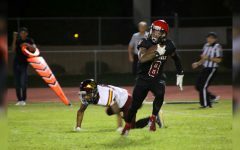 The Gauchos defense held the Gila Monsters to under 100 yards passing but allowed a 70 yard touchdown pass thrown by Gila Monster quarterback Joziah Anakalea. 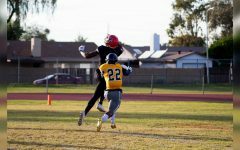 The Gauchos defense was led by linebacker Jacob Franklin who had a total of eight total tackles in the game and safety Rashie Hodge with and interception. “Defensively we physically played their run game pretty dang tough, they had a long one early but after that we shut them down for the most part. The pass play where Rashie our best defensive player tripped you know, he picked it off in the first half, if he doesn’t trip he picks this one off,” said coach Bell. 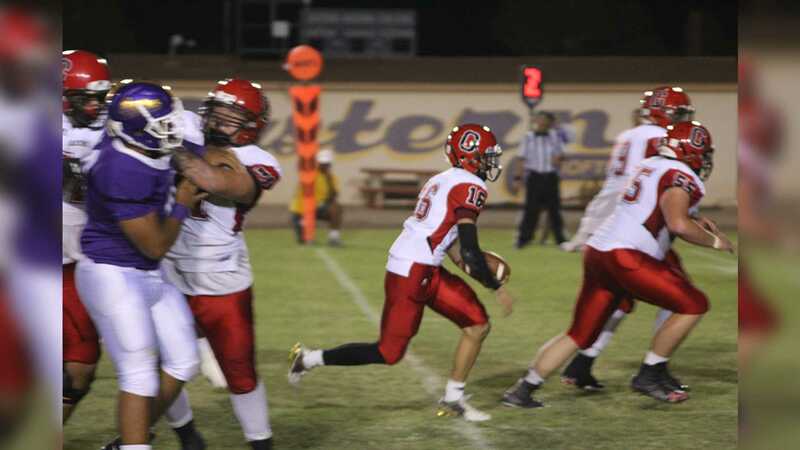 In the fourth quarter the Gila Monsters defense would force the Gauchos offense to turn the ball over. Gila Monster cornerback Dreshaun Miller would intercept Gauchos quarterback Mason Nguyen and return it for a 64-yard pick six. Quarterback Nick Thomas would also throw a pick six to Gila Monster strong safety Quandre Mosely. The Gauchos next game will be at home against #19 ranked Arizona Western College Matadors Sept. 29 at 7 p.m.